The WHO publishes regular reports about TB. HERE, you'll find their Global Tuberculosis Report 2016. Click here, for the special TB section on the webpage of the CDC. 9 new or repurposed anti-TB drugs are in advanced phases of clinical development. 13 vaccine candidates are in clinical trials. Tuberculosis (TB) is a bacterial infection that causes more deaths in the world than any other infectious disease, second only to AIDS. (See the report on Tuberculosis from the Globalfund.org). It is caused by the pathogen Mycobacterium tuberculosis, which is mostly carried (mostly in a latent form) in about two billion people worldwide. Before the discovery of the causative bacteria, TB was also called "consumption" or "chronic wasting disease". It also claimed the lives of famous people such as Johannes Calvin, Frédéric Chopin, Franz Kafka, Molière, Napoleon II and Voltaire. The TB epidemic is larger than previously estimated, reflecting new surveillance and survey data from India. According to the Global Tuberculosis Report 2016 from the WHO, TB remains one of the top 10 causes of death worldwide. In 2015, an estimated 10.4 million new TB cases were reported worldwide, and 1.4 million people have died in 2015 from TB, with an additional 0.4 million deaths resulting from TB disease among people living with HIV. 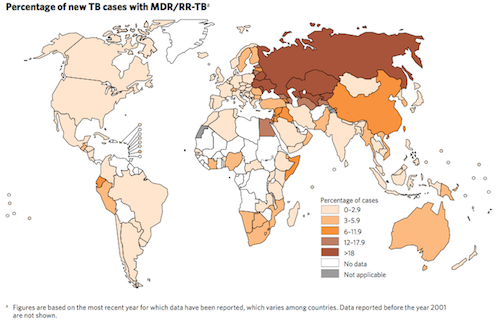 TB mostly kills people in low-income countries that have limited access to modern medicine. In addition, poor compliance with existing treatments has led to the development of multidrug resistant (MDR) TB strains, which have been exacerbated due to a lack of new treatments in the last 40 years. In 2015 there were an estimated 480 000 new cases of MDR-TB. Like the common cold, TB is contagious and airborne, spread by infected people that cough or sneeze. It usually affects the lungs, but may also affect the brain, kidneys and other parts of the body. 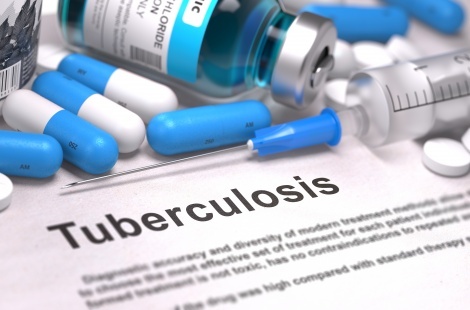 While the TB death rate has decreased 22% between 2000 and 2015 with 49 million lives saved through effective diagnosis and treatment, 6.1 million newly diagnosed cases were notified to national TB authorities and reported to WHO. 1.0 million (10%) among children. Extensively drug-resistant TB (XDR-TB) is reported worldwide with 9.5% of people with MDR-TB to have XDR-TB. Source: The WHO Global Tuberculosis Report 2016. Treatment of TB is much more time-consuming than for other infections. The standard treatment usually takes six months if the patient is infected with drug susceptible TB strains which are not resistant. However, infections with MDR- and XDR-TB require therapies of >18months with drug cocktails that are less potent, but more toxic and expensive than standard medications.